Birthplace of American industry, drinking water source for over a half million people, and home to Eastern brook trout and other fish and wildlife, the Merrimack River is one of New England’s treasures. However, its forests are disappearing, cut down to make way for developments, roads and parking lots. 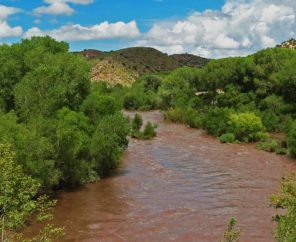 Unless the EPA acts now to protect sensitive lands and implement green infrastructure solutions, the river and its communities will be choked by increasingly polluted runoff. 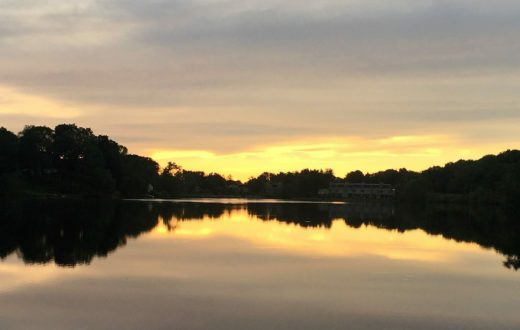 The health of the 125-mile Merrimack River and its 11 tributaries is of great importance to two million residents and an abundance of fish and wildlife species. Currently, 600,000 people depend on the river for drinking water, including the six communities of Lowell, Lawrence, Tewksbury, Methuen, and Andover, in Massachusetts and Nashua, NH. Two more cities in New Hampshire, Manchester and Concord, plan to do so in the near future. In addition, the Merrimack is historically important as one of the birthplaces for industrialization, with the river powering textile mills and other factories. The region, “was then to industry what the Silicon Valley is today,” said Theodore Steinburg, author of Nature Incorporated: Industrialization and the Waters of New England. Today, 847 dams harness the river and its tributaries, and some are candidates for removal to help restore river health and fisheries. 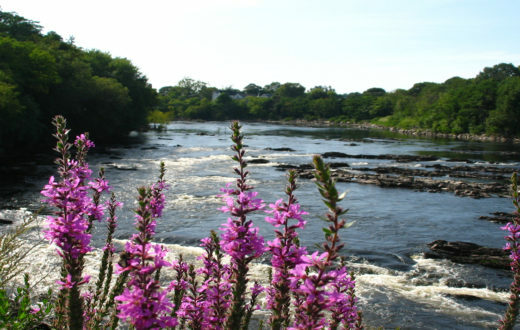 The Merrimack River is one of the three most important large rivers on the East Coast in its conservation value to migratory river herring and one of the six most important for 12 migratory fish species. The Merrimack watershed also supports at least 75 state and federally-listed endangered species, numerous pairs of bald eagles, the largest tidal marsh habitat in New England, and a portion of the Atlantic Flyway bird migration route. Pavement is rapidly replacing trees across the Merrimack River watershed. The impact of unsustainable development on land, forests, habitat, and water quality is the largest threat that the Merrimack River watershed faces today. The U.S. Forest Service ranks the Merrimack River watershed as the most threatened in the country due to the development of forest lands, fourth for associated threats to water quality, and seventh for loss of habitat for species at risk. An estimated 40 to 63 percent of the private forested land in the watershed is projected to be developed by 2030. These threats are the direct result of the growing population and associated development occurring throughout the watershed, especially in southern New Hampshire, the most rapidly developing part of the state. For example, the average population growth rate between 2000 and 2010 in the three main New Hampshire counties of the Merrimack River watershed (Belknap, Merrimack, and Hillsborough) is nearly two times greater than the New England average. Protecting the extensive forests in the Merrimack River watershed is essential to preserve their natural filtration function, which removes nutrients, pathogens, and other pollutants in order to help clean the river’s water. The looming loss of these forests threatens the water supply of the more than 600,000 people who depend directly on the Merrimack River for their drinking water today, along with the additional 200,000 residents expected to use the water in the near future. Pollutants that flow though the Merrimack watershed ultimately impact the Gulf of Maine’s marine ecosystem. In fact, the Merrimack is already the second greatest contributor of nitrogen and phosphorus to the Gulf of Maine. In the coming years, the National Oceanic and Atmospheric Administration predicts an increase in rainfall and flooding for New England rivers due to climate change, which will only increase polluted runoff. With the continued transformation of these vitally important forested lands into suburban developments, the ability of the land to absorb, hold, and naturally clean stormwater will be greatly reduced. The loss of forested lands also reduces habitat for threatened and endangered species. In order to ensure clean drinking water and protect fish and wildlife in the Merrimack River from poorly planned development, the U.S. Environmental Protection Agency (EPA) needs to create a regional watershed team and implement key safeguards including protection for important forest lands along rivers and streams, green infrastructure solutions, and improved stormwater management to reduce the excess nutrients and pathogens in the river. The EPA has created watershed teams in other basins facing chronic water quality challenges including the Chesapeake Bay, Great Lakes, and Gulf of Mexico. Such an approach empowers local citizens to take greater responsibility for river stewardship. 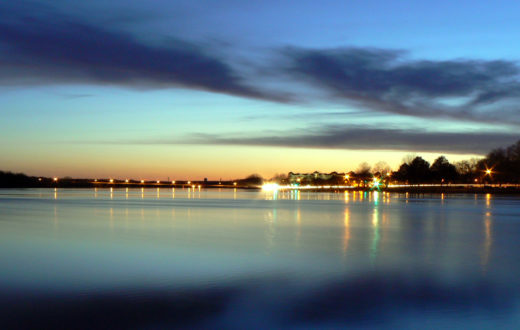 Currently, EPA is already working closely with the City of Lawrence, Merrimack River Watershed Council, the Commonwealth of Massachusetts, and other partners to improve Lawrence’s water. Now is the time to take the action to the next level. EPA Administrator Gina McCarthy has a once-in-a-lifetime opportunity to make a lasting positive impact on the Merrimack by facilitating and funding a plan, backed by local citizens, to conserve the river through smart planning and accelerated land protection while there is still time. 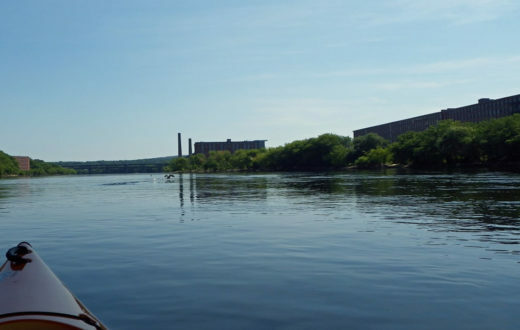 What does the Merrimack River mean to me?